At Supreme-Essay.com, we provide custom essays that are completely written from scratch by our professional writers! Many students are afraid of utilizing essay writing services online because they are worried about receiving plagiarized content. Handing in a plagiarized document can severely harm a person’s academic career. Unfortunately, there are a number of less-than-honest essay writing services on the Internet that do rewrite old documents and then pass them off as 100 percent unique custom essays written from scratch. No one wants to buy an essay just to find out it is full of plagiarism and there is nothing they can do about it. 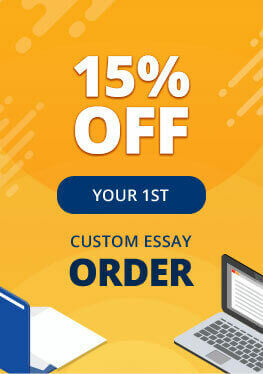 At Supreme-Essay.com, when you buy an essay or any other academic assignment, we guarantee it is original. How are we able to do this? We run all academic assignments through sophisticated plagiarism detection software program. This ensures that customers receive a completely unique piece of writing every single time. A client can ask for a free plagiarism report to be delivered together with the order. We will never ever send customers final products that are rife with instances of plagiarism. Everything is quoted or paraphrased and then cited in the footnotes. We do not believe in recycling or reselling old academic assignments written for previous customers. All our writers meet high standards of quality, which means that we do not tolerate plagiarism. Once a writer is done with the final paper and it has been edited, it is sent to our quality control center, so that experts can check it and guarantee it is original and completely written from scratch! Remember that we provide nothing but original academic papers and we are not going to change our direction!